There’s a lot of talk these days about the GAPS diet. But what exactly is it? How does it work? Who benefits from it the most? And, of course the question you’re probably the most curious about, how effective is it? Let’s dig in and examine this diet in a little more detail. GAPS stands for Gut and Psychology Syndrome, a theorized syndrome proposed by Dr. Natasha Campbell-McBride that links intestinal flora to psychological conditions like ADHD, dyslexia, schizophrenia, depression and autism spectrum disorders. Campbell-McBride suggests that poor gut health is at the root of these conditions and proposes the GAPS diet as a means of alleviating them. 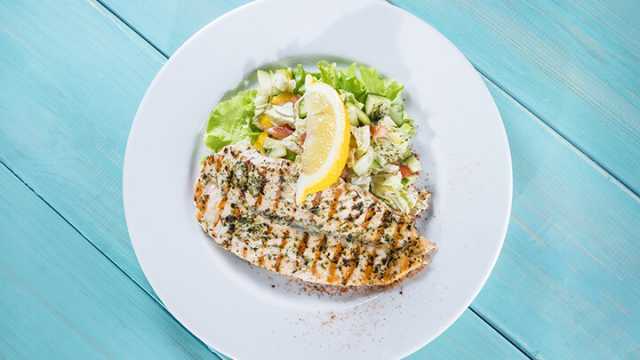 The diet is also used by many others suffering from conditions and symptoms they believe to be linked to gut health, including IBS, Crohn’s Disease, gastritis, food allergies, leaky gut and others. There is, unfortunately, a lack of scientific evidence to support these theories, simply because they have not yet been researched to any significant extent, though the diet has many supporters nonetheless. And those proponents in the medical community point out that, while the diet itself has not been studied directly, many of its basic tenets have been studied, so there are at least scientific reasons for believing it could work. Proponents of the diet suggest that it can repair the gut wall and end leaky gut, rebalance the gut’s probiotics, create a healthy microbiome and combat the toxicity caused by “bad” bacteria in the gut. Experts believe it can also prevent toxins from entering the bloodstream, which may contribute to autoimmune conditions. So what do people following the GAPS diet eat? In some ways, it is similar to a paleo diet. The diet is typically introduced in six stages, with patients gradually getting closer and closer to a full GAPS diet. This is because switching to the full diet all at once can be overwhelming for many people. 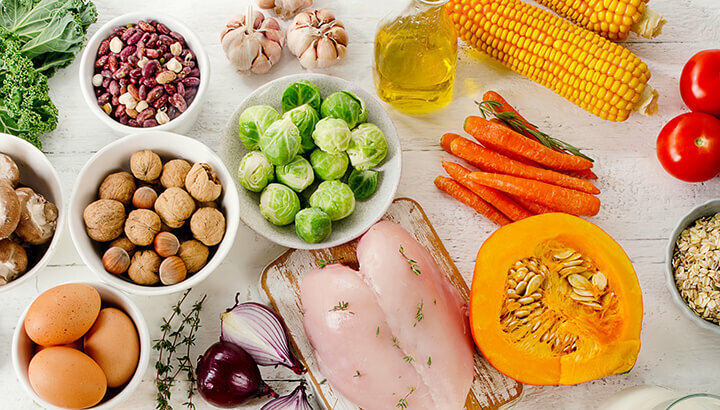 The full GAPS diet is similar, with a focus on high-quality meats and animal fats, fermented foods and non-starchy vegetables, though there is a longer list of foods to avoid. The specifics of the diet are, as you might expect, much more detailed. For a full overview of all the foods to include and avoid, visit gapsdiet.com. So now that we have a little more background about what the GAPS diet is, let’s talk about why its proponents say it is effective at healing the gut. Well, GAPS, the syndrome, is believed to work by allowing toxins in digestive tract escape because the gut has become permeable — this is known as “leaky gut.” leaky gut, in turn, is thought to be caused by damage done to the intestinal lining that lets these toxins (“bad” bacteria, proteins and fats that haven’t been completely digested, waste products) get into the blood stream. And from there, the toxins can travel to other parts of the body and wreak havoc. For example, they can be carried to the brain and cause ADHD, autism, and the other psychological conditions mentioned above. Leaky gut, in turn, is thought to be caused by damage done to the intestinal lining that lets these toxins (“bad” bacteria, proteins and fats that haven’t been completely digested, waste products) get into the blood stream. And from there, the toxins can travel to other parts of the body and wreak havoc. For example, they can be carried to the brain and cause ADHD, autism and the other psychological conditions mentioned above. The GAPS diet works by eliminating the foods that are thought to cause the initial intestinal damage. It also adds plenty of the foods that can heal the gut and promote a healthy gut microbiome. How safe is the GAPS diet? Are there any risks to be concerned about? One potential downfall is the risk of lead contamination in bone broth. A 2013 study published in Medical Hypotheses suggests that this could be a reason for concern. Because bones essentially sequester lead, the process of making bone broth, which cooks the bones for hours, could be risky. However, the Weston A. Price organization, which supports traditional diets, points out that the study fell short in many areas. For example, the researchers made and tested levels of lead in the broth, but fail to mention how the broth was made. They also say that they used “organic” meat, but do not specify what is meant by that — was it also grass-fed or pastured? We don’t know. The researchers also left out information on variables such as what type of cookware was used, the pH of the water used and more. This is important because some types of pots, especially ceramic ones, can contain lead. And water with an acidic pH would be more likely to leach any lead that may have been in the cookware. Another potential downfall put forth by some in the natural health community is that animal fats are very dense foods. As such, animal fats take longer to digest than, say, fresh or steamed plant foods. While eliminating grains and other potentially damaging foods may initially have benefits, down the road, the relatively high level of animal products may have undesirable digestive effects. This is why there is a very different school of thought that proposes a raw, vegan diet as a healing approach. That last one is precisely the opposite of what the diet’s supporters claim when they point to its relatively high quantities of fermented foods high in probiotics. Finally, some anecdotal information suggests that going on the GAPS diet may eventually make you more sensitive to foods containing artificial ingredients. While this may not be a bad thing per se, it can be inconvenient, given the nature of our contemporary lifestyles. However, this well may be the case for some people who cut out processed foods regardless of the healing approach they’re taking; they may experience the same thing on a raw, vegan diet, for example. So how do you know if the GAPS diet is right for you? There are valid arguments on both sides. As with any dietary change, it’s important to listen to your own body. Consult with a medical professional — preferably one with a background in natural health — before starting the GAPS diet. If you decide to give it a try, start slowly and introduce yourself to the diet gradually. Feel better? Keep going. If you feel worse, stop. And if you develop symptoms at any point along the way, consider taking a break. As you go, pay attention to how your body feels. Hey Buddy!, I found this information for you: "What Is The Gaps Diet And Does It Work?". Here is the website link: https://www.thealternativedaily.com/does-the-gaps-diet-work/. Thank you.